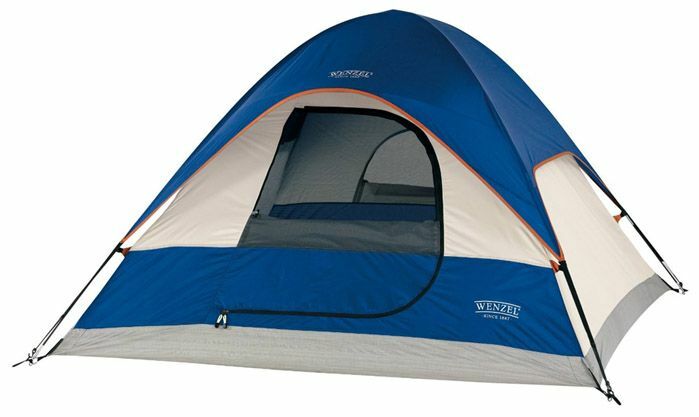 What are the best tents under $100 to buy? 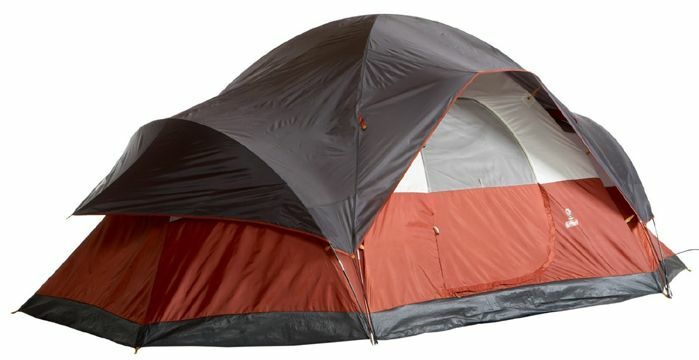 Of the 100 plus tents I have looked at 39 can be bought for less than $100 info_outline. Finding a decent sized tent at this price is a bit of a challenge, it is possible though. Some of the tents below are heavily discounted making them great deals. 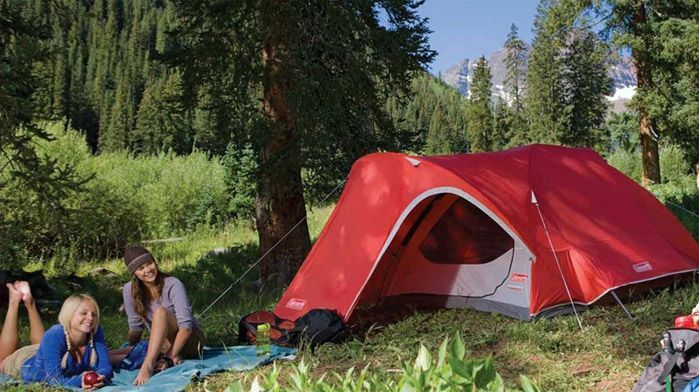 Skip straight to the best of the best tents under $100 page section. Seven of the tents have a very good overall score "much better than the average for all tents" Two of them easily qualify as top rated, they both have lots of reviews, more than 800 in total. Both are the same model and made by Coleman. The Meramac 3 has a MSRP of $129.99 subsequently one can not always find it for less than $100. Pretty much all of Alps tents get great ratings the Mountaineering Meramac 3 is no exception, with more than 75 reviews and an overall score of 90% currently discounted 30% to $90.99 info_outline you would be hard pressed to find better value "if you are not looking for a big tent"
Worth taking a look at is the Meramac 4 it is quite a lot bigger and costs only $110.49 info_outline at the moment. 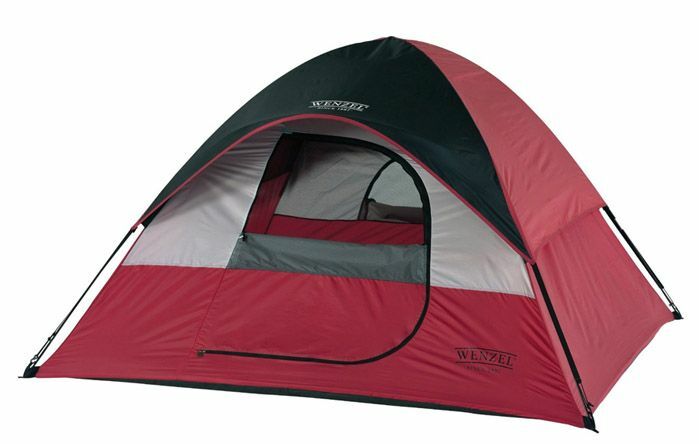 Wenzels Twin Peaks Sport Dome pictured above, made by Mountain Trails looks good even at the MSRP of $69.99	discounted 29% info_outline makes it even better value for money for smaller families, looking for a quality tent with good ratings. 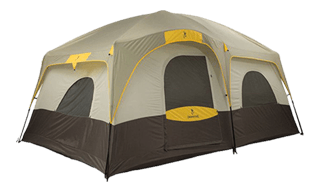 It is pretty rare to find the Sundome 6 for less than $100 With 100 sq feet of sleeping space it looks very attractive at this price, the six feet of standing room is also nice. Discounted to $89.99 info_outline makes it a much better deal than the Sundome 4 on a dollar per square foot basis if your looking for a little more space or have a growing family, it would be an excellent choice. 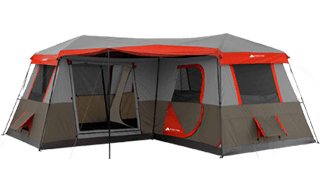 Five tents have 6 feet of standing room or more, one of these have more than 100 square feet of living space. Largest of them all is the Evanston 6 with 120 square feet along with 6 ft. 00 inches of headroom made by Coleman. 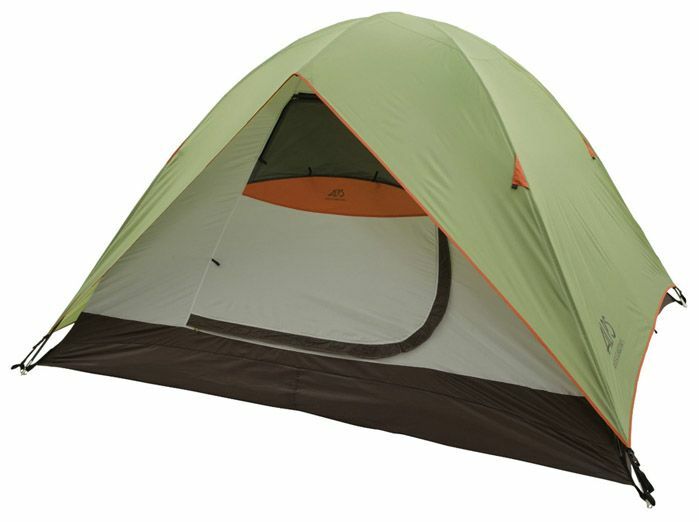 Coleman's deeply discounted Sundome 6 gets another mention here because it also drops into this larger group of tents. Last of the five is the Branch Canyon made by Texsport with just a few ratings it is hard to make any kind of judgment about this one. If you are searching for a cheap large tent the other four appear to be better choices. Twenty of the thirty-nine tents can be purchased for less than $75 info_outline all offer enough space only for the smallest of families. Coleman makes eleven of them. 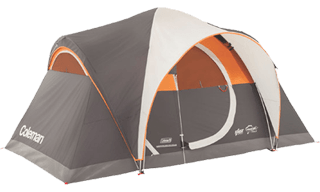 Even though the Sundome 3 is one of the cheapest tents available today "with a good overall score" at $40.99 info_outline It is hard to choose it when the larger Sundome models cost only a little extra for considerably more space. Another Coleman tent is the Hooligan 3 bigger than the Sundome 3 this tent gets a vote for very small families wishing to get away backpacking for a long weekend. 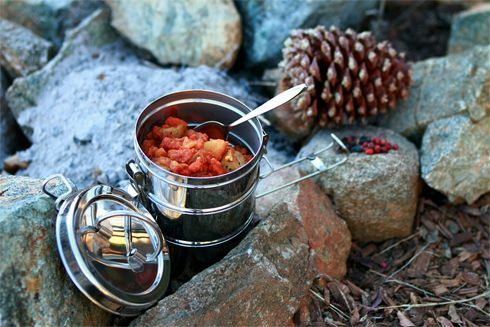 A slightly a larger version pictured below is available it would be ideal for longer hiking or cycling trips. I have covered Coleman's Hooligan Tents in more detail on a page all about Coleman's Tents. The Twin Peaks Sport Dome has already been mentioned above in the best value section. On sale at $49.95 info_outline It is hard to find anything wrong with this tent, if you are in the market for a smaller tent for whatever reason. Last of the twenty is the Ridgeline made by Wenzel pictured below. It is only $69.94 info_outline It's overall score is well above average, lots of the 200+ reviews get 5 stars. Yes it is a small tent, it does though offer a lot of value just like the other nineteen. Quite often when one thinks of cheap, the next thought is usually "poor quality" None of the tents above do anything but excel in all areas "except size" Only the Sundome 3 does not make sense, any of the others would make great choices. 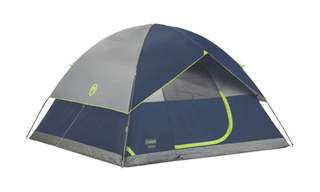 By far the most popular tent is the Sundome 4 with more than one thousand reviews, lots of buyers have given it five stars, the next best selling is the Ridgeline it has more than 200 reviews, both have great overall scores. 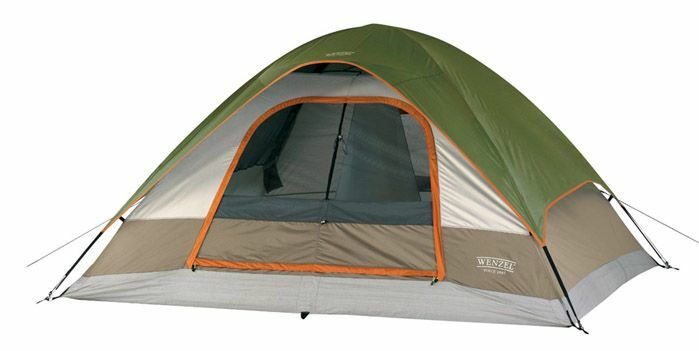 Of the thirty-nine tents under $100 sixteen have more than 100 reviews ten of these are made by Coleman four of them are the dependable entry-level Sundome model With two large windows an awning and a quick 15 minute advertised setup time, these small but spacious tents are great for people new to camping not wishing to commit a whole lot of cash. Another is made by Wenzel "it is very affordable" the Ridgeline also has lots of happy owners who rave about it. Another worth mentioning is the One Touch Set Up unlike the others above it is not made by a well-known manufacture, which makes it jump out from the rest. All of these fifteenother tents have had favorable mentions elsewhere on the page. 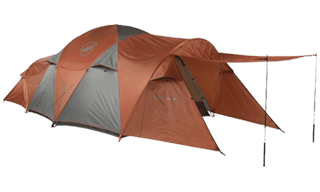 The Cedar Ridge Rimrock 4 I was not sure who "Cedar Ridge" was, it turns out that they are ALPS Mountaineering newest brand addition, this caught my attention as ALPS are renowned for making high quality tents for serious all year round camping. As you can see in the video underneath ALPS have applied what they know to this new budget line. A decent sized "64 square foot" ALPS backed tent for $91.11 info_outline now that is a good deal! The initial reviews are excellent! "super easy to set up in the pitch dark"
"set this up in 10 minutes by himself"
As ALPS are publicly behind this new brand, it is near certain you will be getting a quality tent that will last for years. 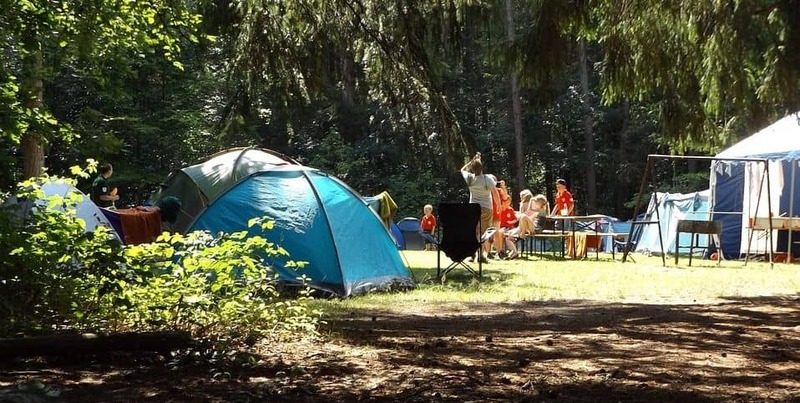 If this is your first time camping and you are not sure how much to spend. 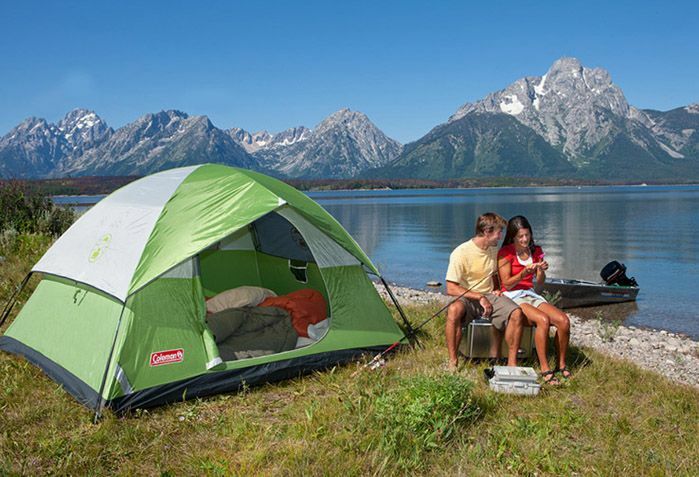 Any of the tents mentioned above would make a great choice without breaking the bank.